"We provide you with skilled workforce"
Recruitment Factory in Romania - Who we are? We are a company that recruits employees for our clients in Romania. With recruitment we mean recruitment for a client. The recruited professionals will work for the client and have the employment contract with the client in Romania or any other country where they will work. We offer also the possibility to work with Romanian professionals and to put them to work in our business centers in Romania under our supervisionwith an outsourcing contract based on deliverables and an ousourcing contract. The advantage is that you do not need to create a company in Romania. If we look at the situation in Europe we need to target on some groups. The selection is made on the experiences that we had in Romania and Europe in the past 10 years as we recruited already for the clients in our two business and incubation centers in Romania. Today we are preparing a third business and incubation center in Romania. As the war for talent escalates, specially skilled and talented employees will be difficult to recruit and hire, your recruitment process will matter even more. We offers tailor made solutions within recruitment with search and headhunting. We offer complete solutions within recruitment were advertisement, networks, database and search is included. 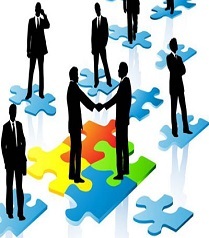 We differentiate by offering search as a natural part and complement of the recruitment process. This will give the full picture of the candidates that are available on the market and we will select the best candidates for the assignment. We assign our experienced recruitment consultants to clients according to the number of positions which need to be filled. If requested, these consultants will take over the entire recruitment process, including interviews and candidate selection, advising respective departments and drafting contracts. If needed we hire the candidates for our clients and register the labor contracts. • Analyzing your business strategy and personnel requirement. • Identifying the skills and staff you’ll need today and in the future. • Designing a recruitment strategy around your business goals. • Implement national and international recruitment programs. • Integrated management of all channels in order to find the right candidates. • Assessments using a wide range of recruitment procedures and skill profiles. 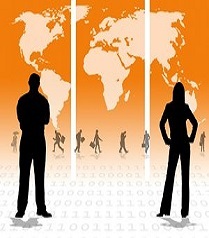 We help companies to find workers and employees on a tailor made basis. Our “organized recruitment” of workers and employees is a system of recruiting unskilled and skilled labor for industry, construction, transportation, and farming. Recruiting the best employees for your organization is an ongoing challenge for every manager, supervisor and human resources professional. If you're looking for solid, proven best practices and up-to-the-minute ideas in recruitment, interviewing and selection, you've found the right partner in recruitment. Our approach is tailor made and we provide you with workers and employees that will fit in your organization with the defined skills and experience.